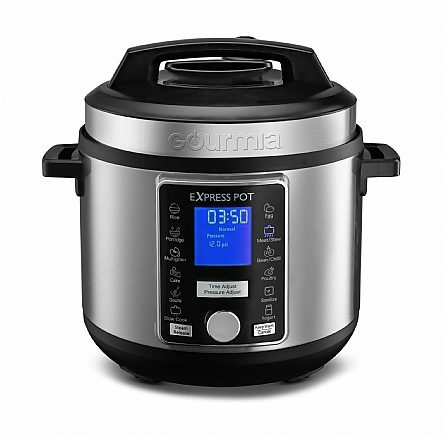 Introducing Gourmia’s 6-Quart Express Pot Pressure Cooker. If you’ve been in the market for a faster, more efficient way of cooking all of the things instead of dirtying every pot in your kitchen, you really need to check out Gourmia’s latest product. Rivaling all things InstantPot, the Express Pot has made meal prepping for my family easier, for my dishwasher’s sake. Apple’s Event Recap: If Google Is Skynet, Then Apple Is…? I am in no way a movie buff, and it takes something pretty unique to pique my interest. The trailer for Yesterday immediately caught my attention as a unique story coupled with Beatles music. Directed by Danny Boyle, the movie is about a struggling musician who after an accident realizes he is the only person who remembers the Beatles. If you’re planning on picking up a new pair of Airpods, be it the original Airpods, or the newly released Airpods 2, you should check out these two products from Nomad. Have you ever heard of Super Steel? Well, me either, but supposedly it makes for amazing kitchen knives! Artisan Revere has crafted a chef knife using Elmax Super Steel that was designed and manufactured in the USA and I can’t wait to get my hands on it. The Artisan Revere Chef Knife has already surpassed its Kickstarter funding goal! Kickstarter is sort of like the internet’s science fair. You wade through a lot of random stuff to find some cool ideas, but every once in a blue moon you see a project and think “Was no one around to intervene here?” That’s my take on the LapDogg, and not just because it has a weird extra G.
Consolidation has always been all the rage in the tech industry. Why carry many things when you carry one that does it all? In this vein, Stealth Labs is launching a speaker backpack that they claim doesn’t compromise on either the backpack or the speaker part of the equation. Traeger Grills unveiled a sweet new lineup of innovative grills today in Salt Lake City. Each of the new grills features Traeger’s WiFIRE technology and D2 Direct Drive, which purportedly allows users to cook faster, smarter, and with more wood-fired flavor. The Pro Series and Timberline Series get tech updates while a new pill-shaped Ironwood Series is revealed. Future Motion, makers of the popular Onewheel electric board, announced their latest product today in New York City, the Onewheel Pint. The Pint is the most affordable Onewheel model to date at $950 and it’s smaller and more lightweight, making it perfect for both urban commuters and outdoor enthusiasts. The Onewheel Pint is now available for pre-order at OneWheel.com. St. Patrick’s Day has become synonymous with drinking and partying to the wee hours of the night, which usually meant having to navigate through a drunken zombie landscape. However, Hopsy has a better solution. They’ve created the SUB Compact, a device that lets you enjoy craft beers on draft right from your home just in time for the festivities. Spring and summer are on the way. That means many activities will soon be moving outside. If you are in the market for a superb indoor/outdoor Bluetooth speaker you need look no further than the Ultimate Ears BOOM 3; now you can make it your own with the myBOOM Studio. My first website was an iPhone app review site. When we expanded into covering hardware, I was fortunate enough to get a pair of Audioengine A2 speakers as my first review item. Now Audioengine has refreshed the line and added Bluetooth. The new Audioengine A2+ has a classic look, but they are an entirely new offering from a fantastic company. Teplo wants your tea to be reflective of your mood when you’re drinking it so they’ve created Teplo Tea which is an internet-connected tea kettle with a heart rate sensor built-in to help it determine your state of mind. HTC unveiled its new 5G Mobile Smart Hub. Designed to “harness 5G speeds for home, business, and everywhere in between” the device stands out as one of the more unique devices on display at Mobile World Congress 2019.